As a college student you probably don’t have much disposable income, and that means being unable to afford luxuries like Amazon Prime. Fortunately, Amazon understands your struggles and wants you to enjoy Prime anyway. Say hello to the Prime Student program, which starts with a six-month free trial and continues at 50% off the full membership price of Prime until you graduate or until four years pass, whichever comes first. 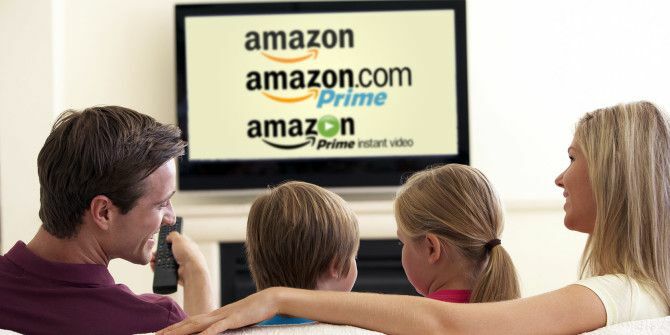 Free two-day shipping in the U.S.
Access to the full Prime Video catalog 10+ TV Shows That Make Amazon Prime Worth the Money 10+ TV Shows That Make Amazon Prime Worth the Money Netflix is undoubtedly the king of the movie and TV show streaming services. However, Amazon Prime has some fantastic television shows that make it worth the asking price. Read More (including all of these Prime-exclusive shows 12 TV Shows You Can Only Stream on Amazon Prime 12 TV Shows You Can Only Stream on Amazon Prime As an Amazon Prime member, an ungodly number of TV shows wait to be watched. In this article we recommend TV shows which are only available to stream on Amazon Prime. Read More ). Unlimited photo hosting with Prime Photos (which is better than most free photo-hosting alternatives Online Photo Albums: Where to Host Them for Free Online Photo Albums: Where to Host Them for Free Which online photo storage service is the best? Between free price tags, unlimited storage space, and photo security, which service is best for you? Read More ). Access to exclusive Daily Deals and Lightning Deals for Prime members only. Twitch Prime Everything You Need to Know About Twitch Prime Everything You Need to Know About Twitch Prime Twitch Prime is Twitch's new premium offering for streamers, and offered as part of your Amazon Prime subscription. But what is Twitch Prime and how will it impact Twitch? Read More , which grants premium features on Twitch (basically the same as Twitch Turbo, valued at $9 per month). Unfortunately you don’t get access to some other nifty features, like Prime Pantry or Prime Music or Prime Reading, but you’re still getting a fantastic deal for just $50 per year. You must have an .EDU email address to qualify. If you don’t have one, you may still qualify if you can provide some other proof of enrollment: photo of student ID, current semester transcript, tuition bill, or copy of an official acceptance letter. Interested? Sign up for Prime Student now! Do you feel that Prime Student is worth it? If not, what would be enough to push you over the edge? Let us know if this helped you! Explore more about: Amazon Prime, Freebies, Media Streaming, Online Shopping.